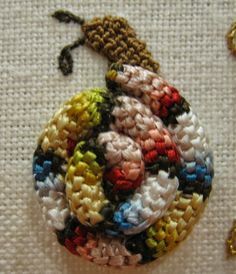 S for Snail: Find the snail! 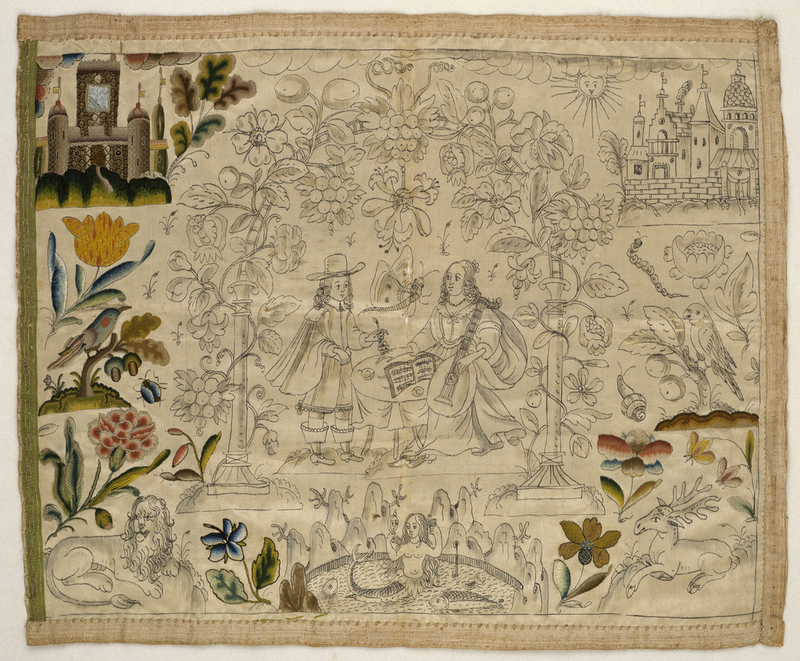 Note the hangman and gallows. 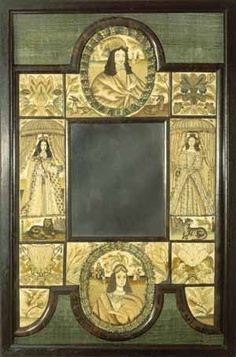 A window on century life ! 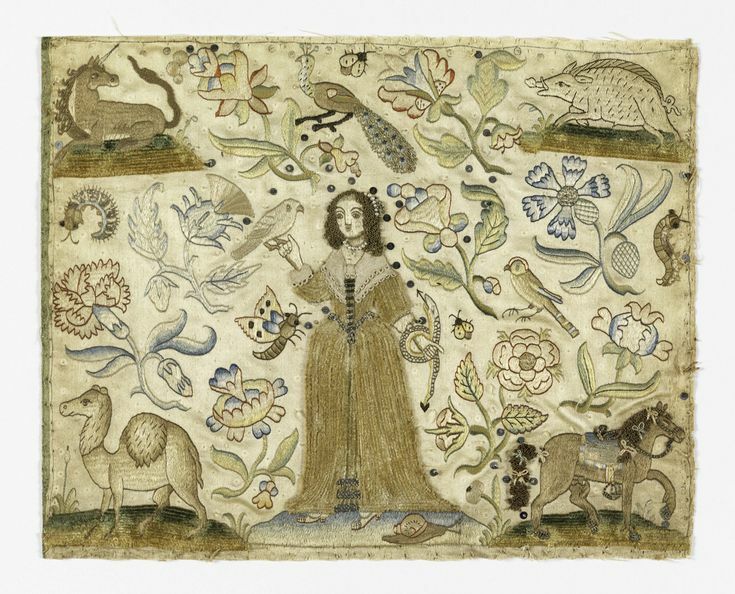 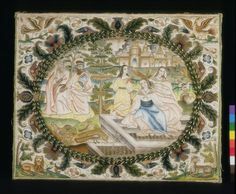 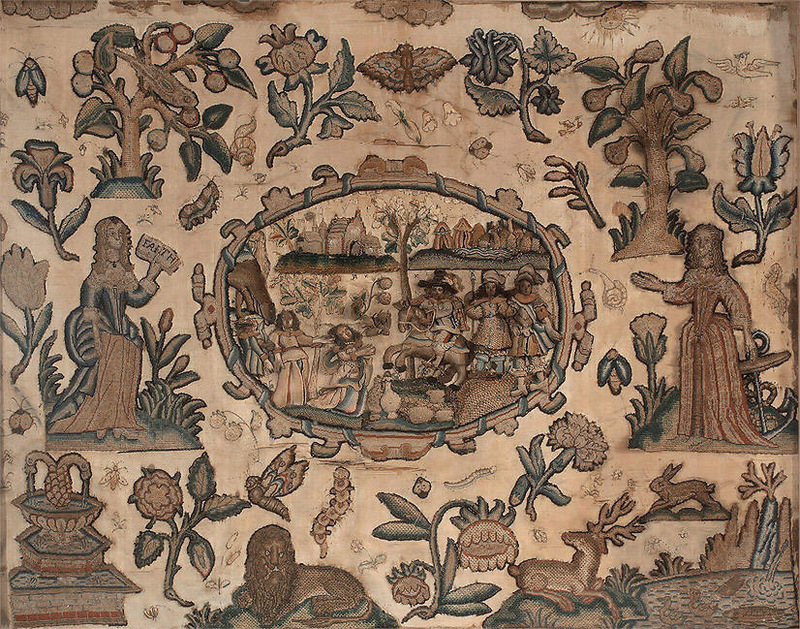 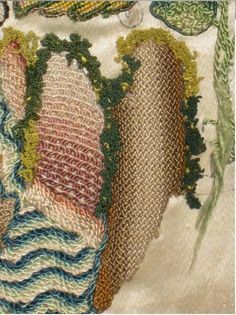 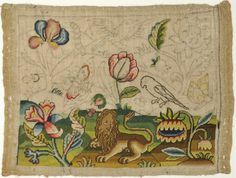 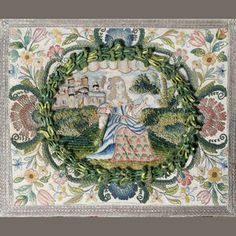 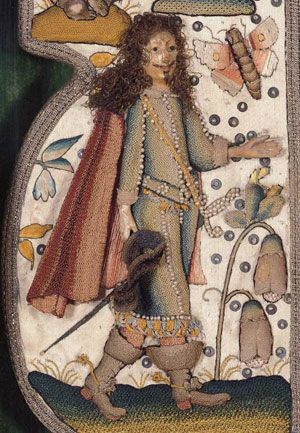 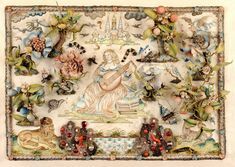 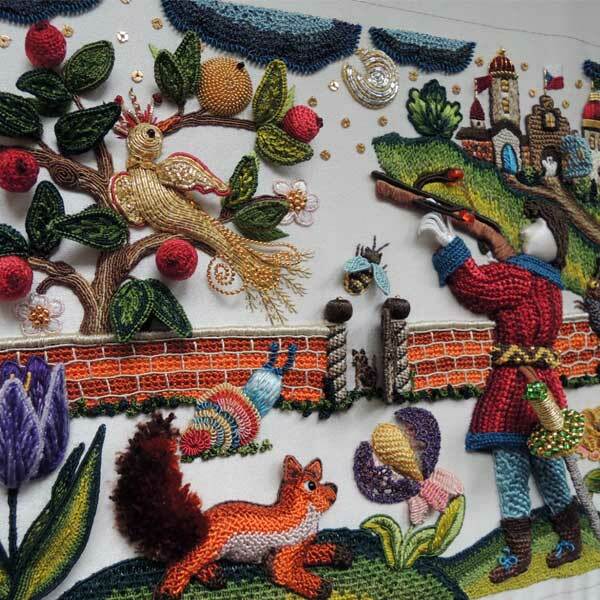 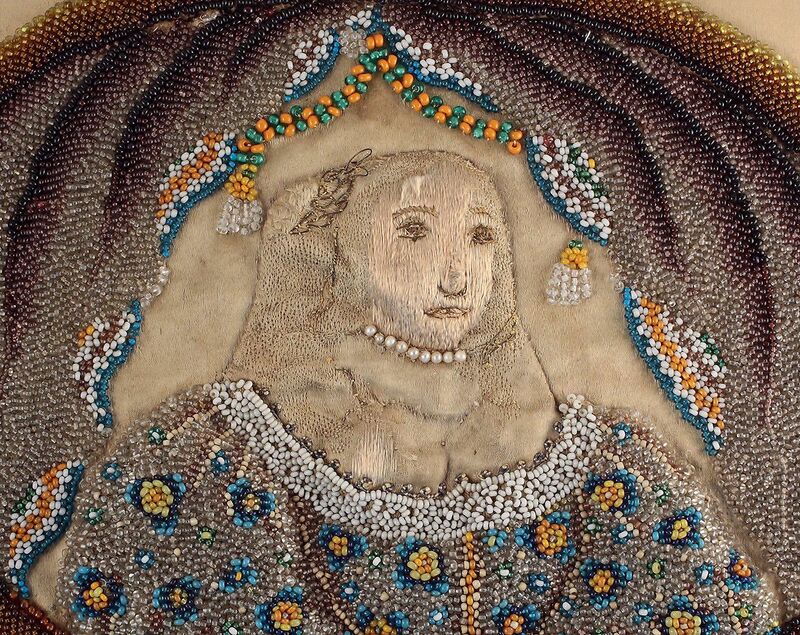 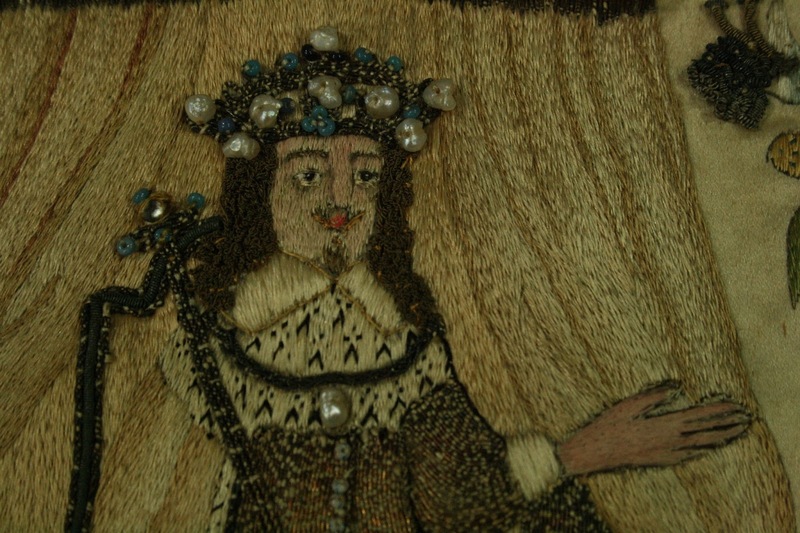 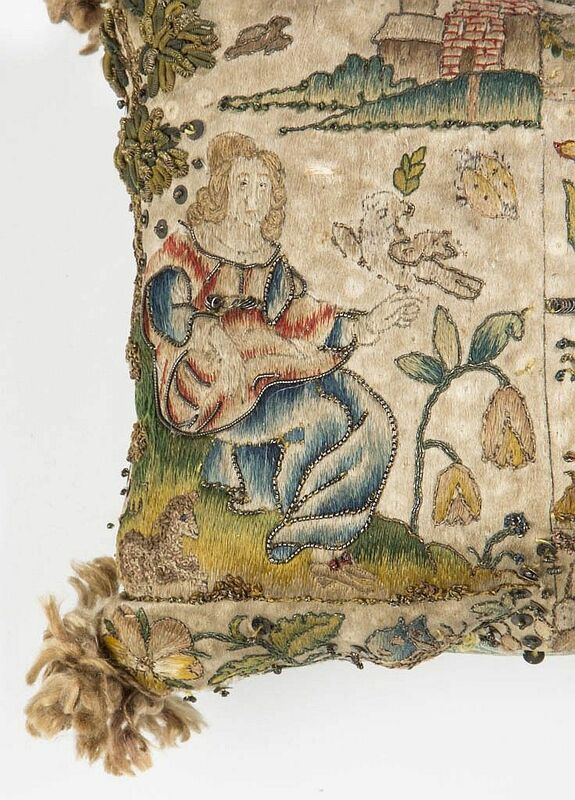 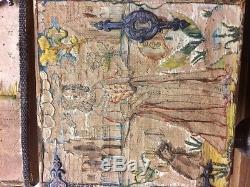 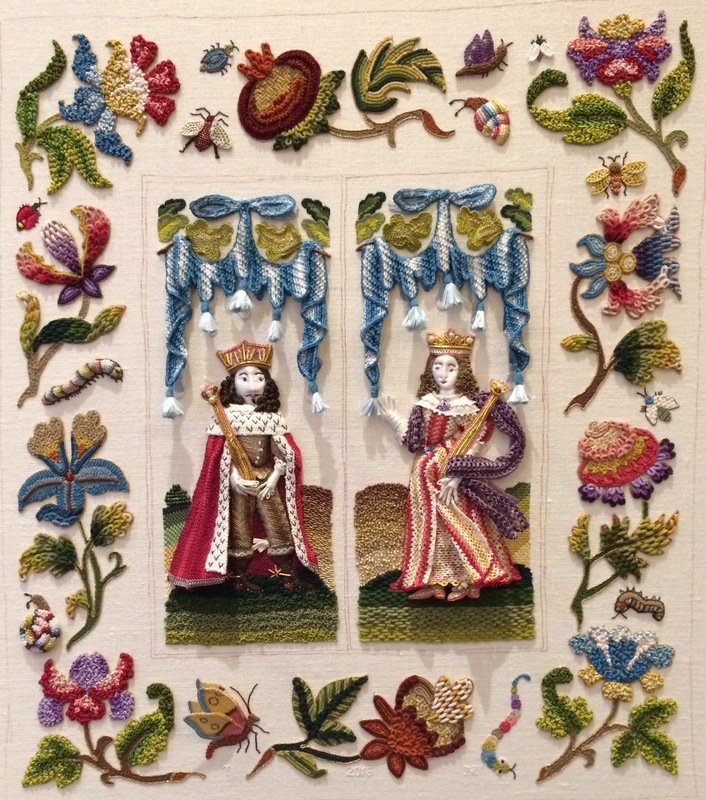 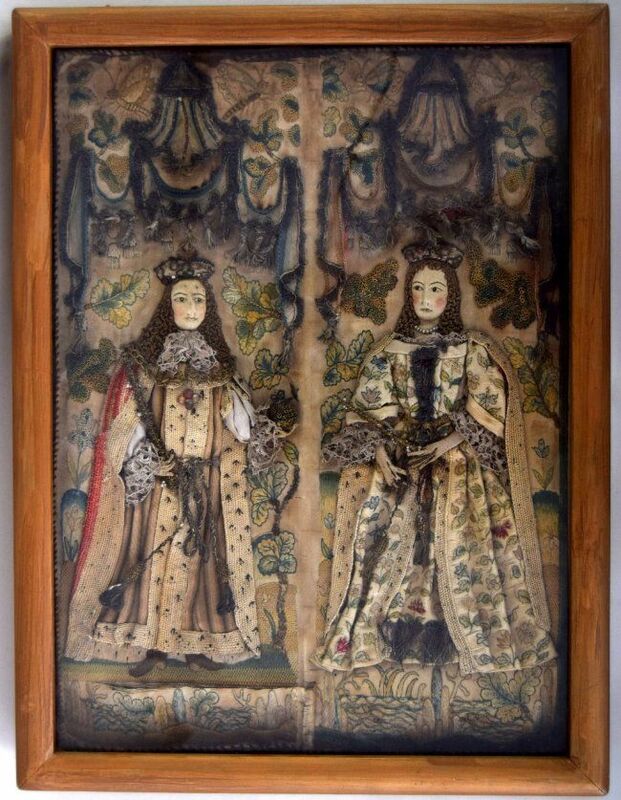 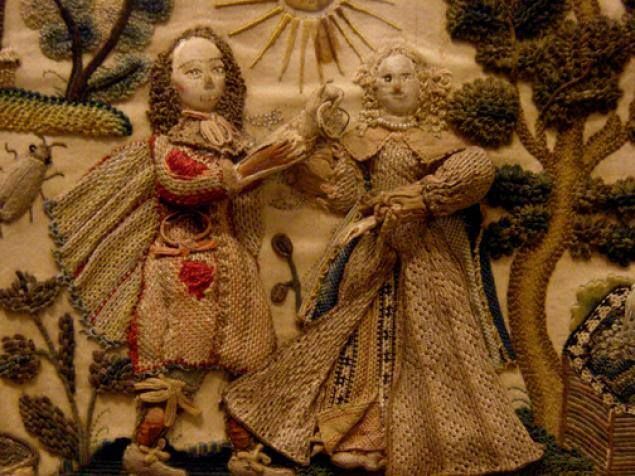 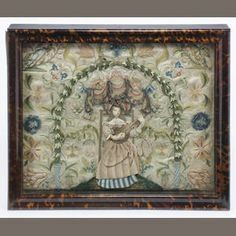 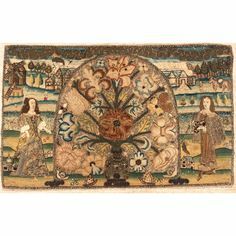 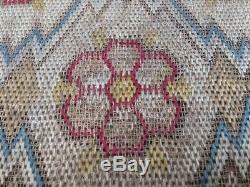 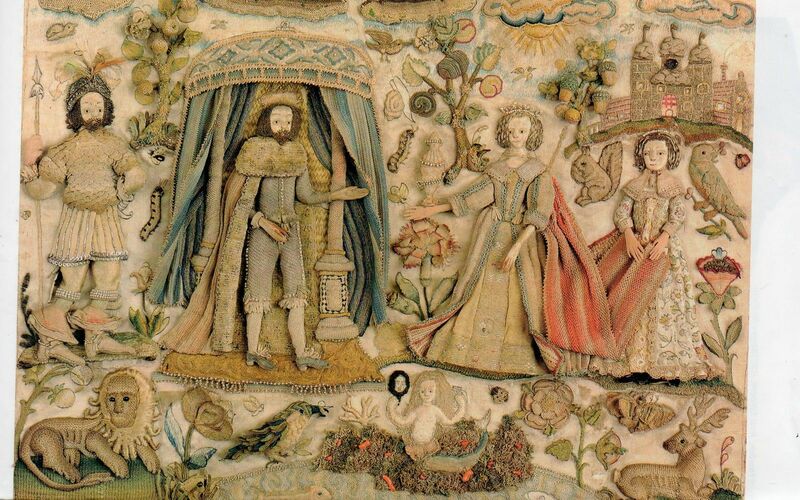 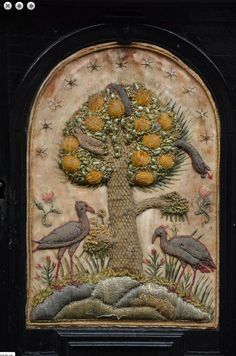 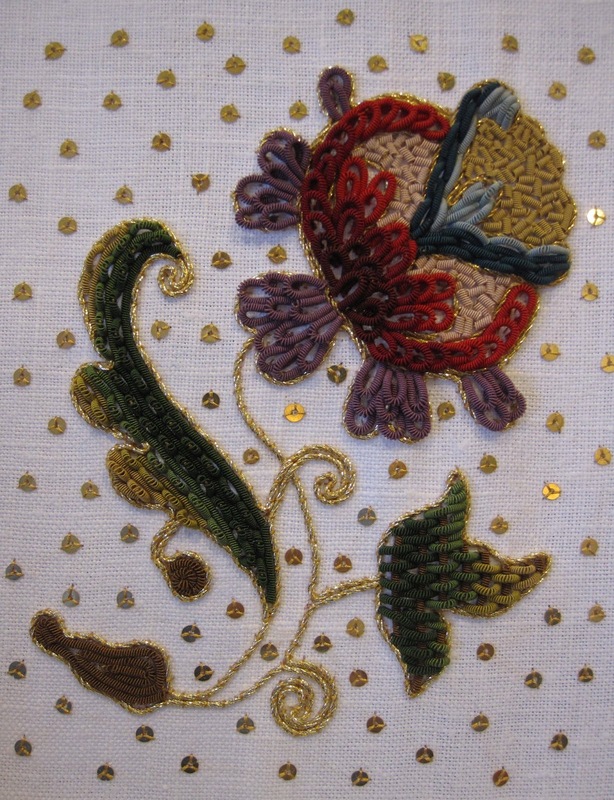 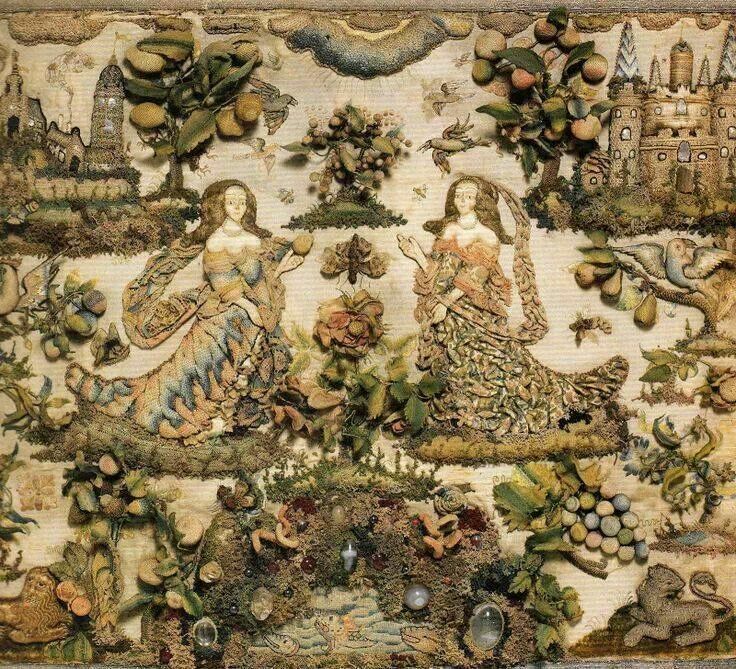 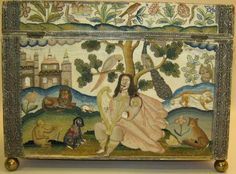 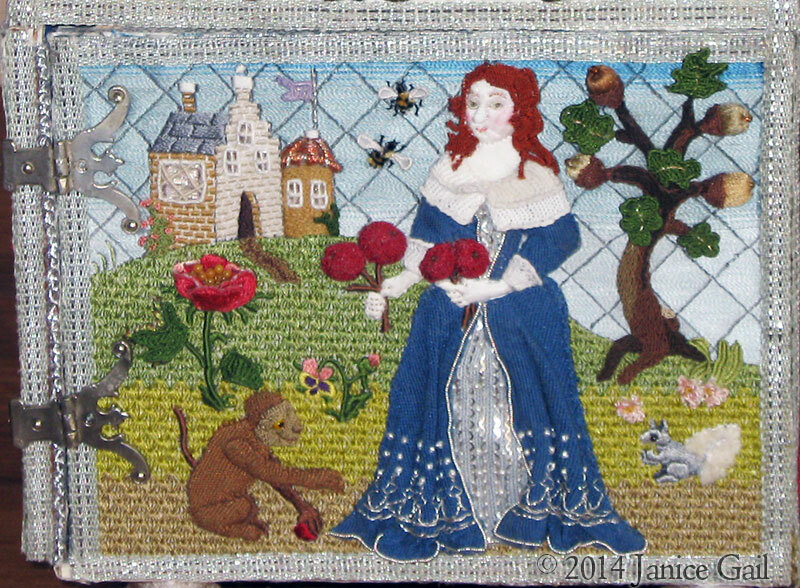 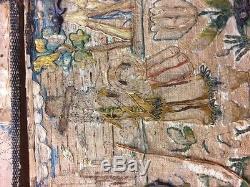 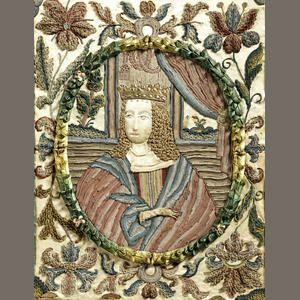 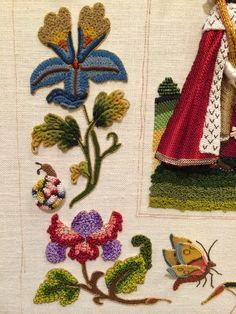 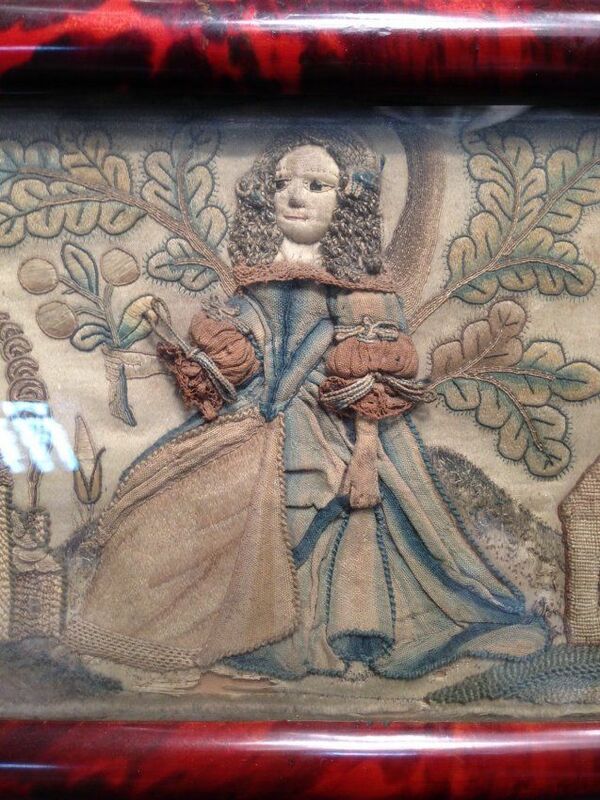 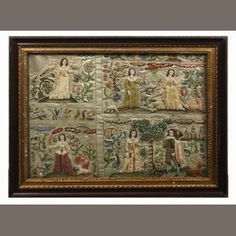 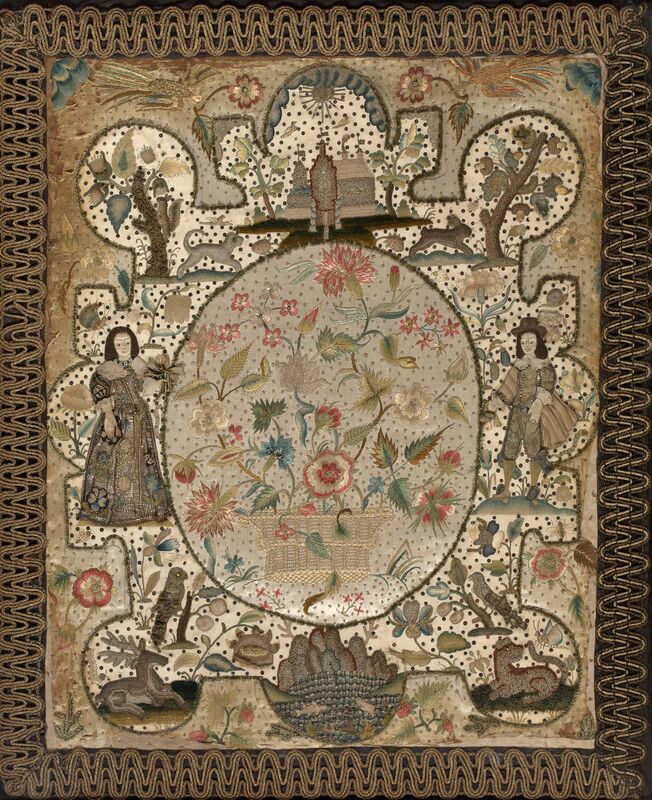 Stumpwork picture worked in silk and metal thread on silk, with pearls and beads, 17th century. 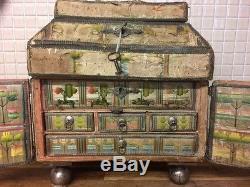 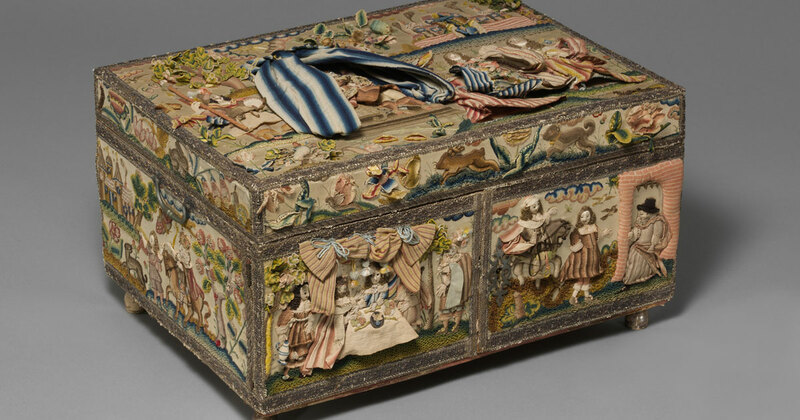 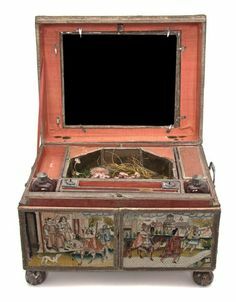 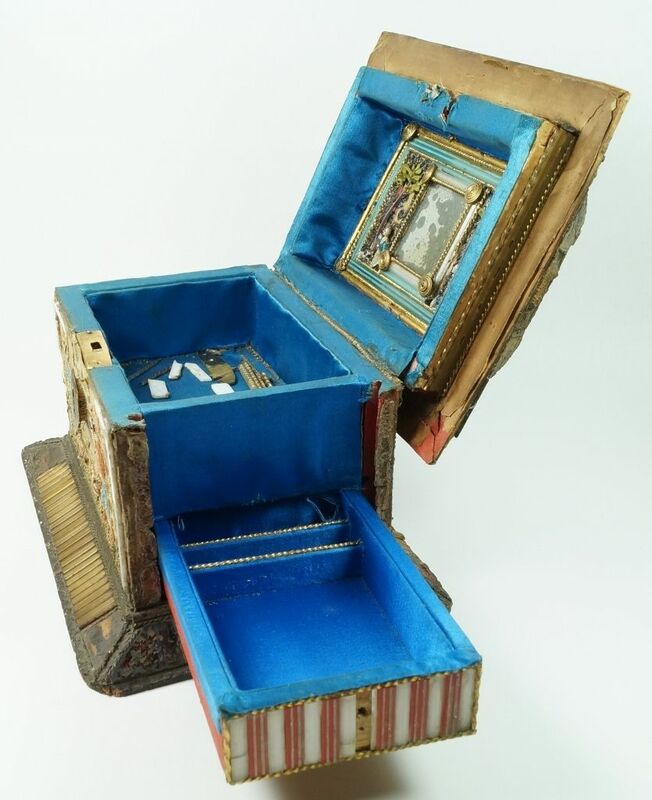 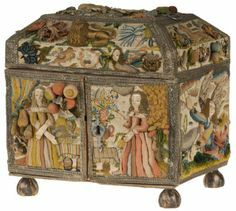 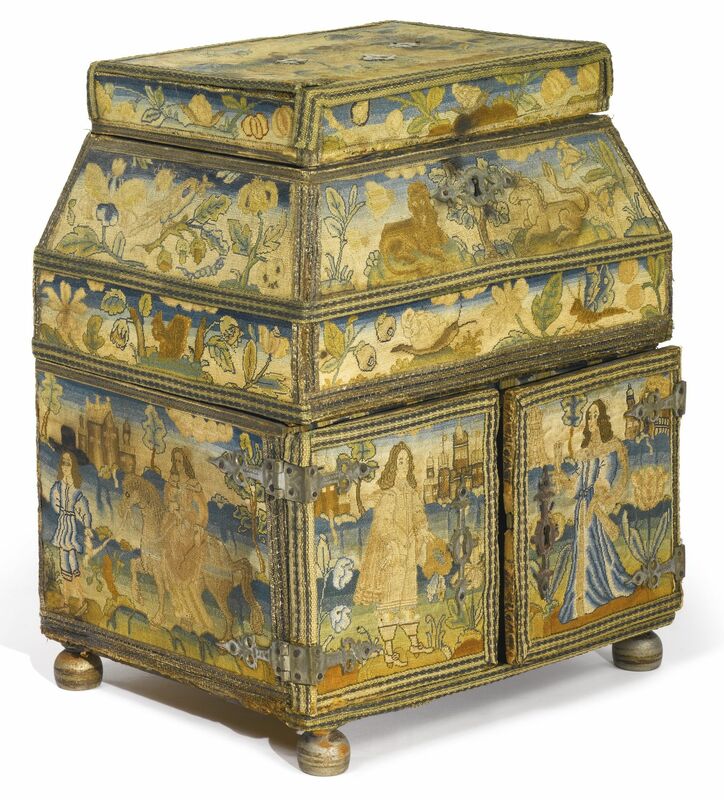 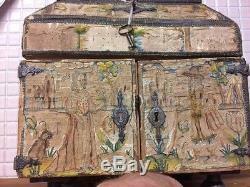 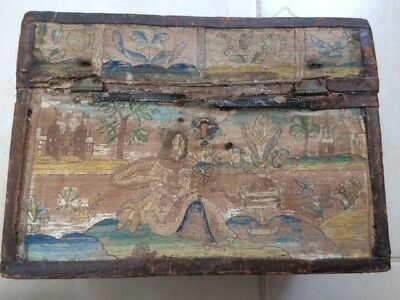 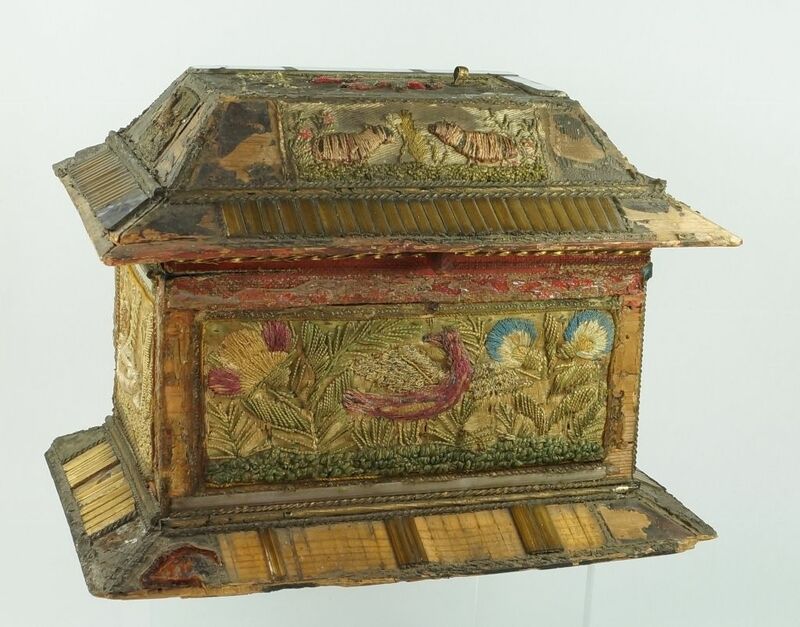 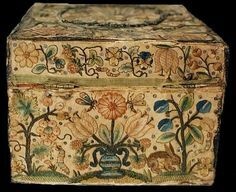 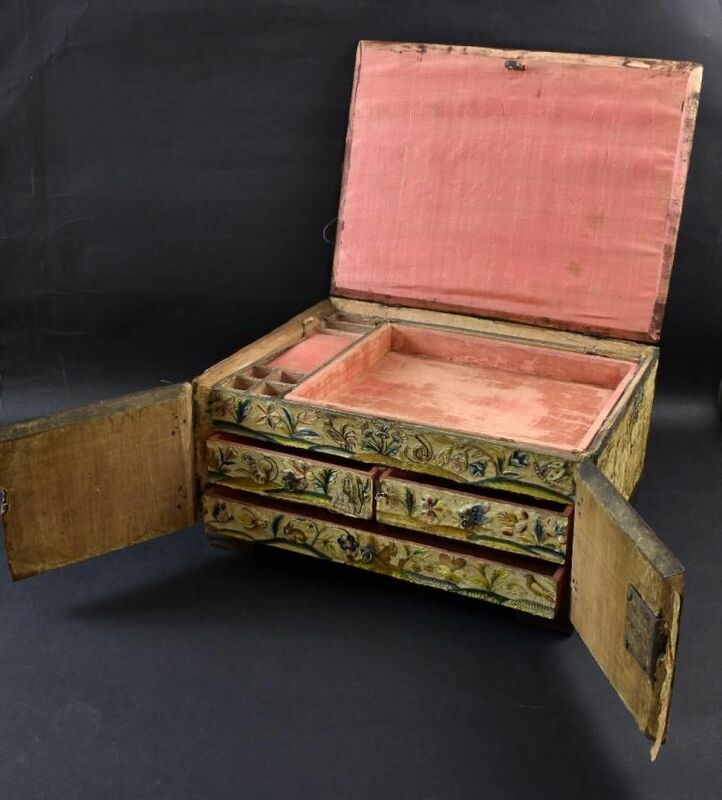 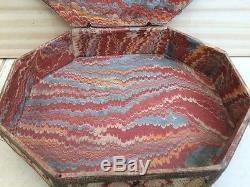 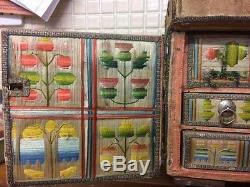 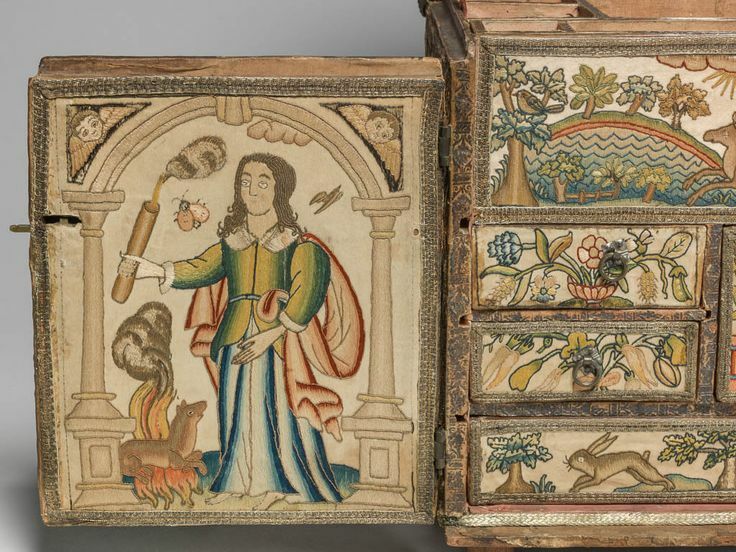 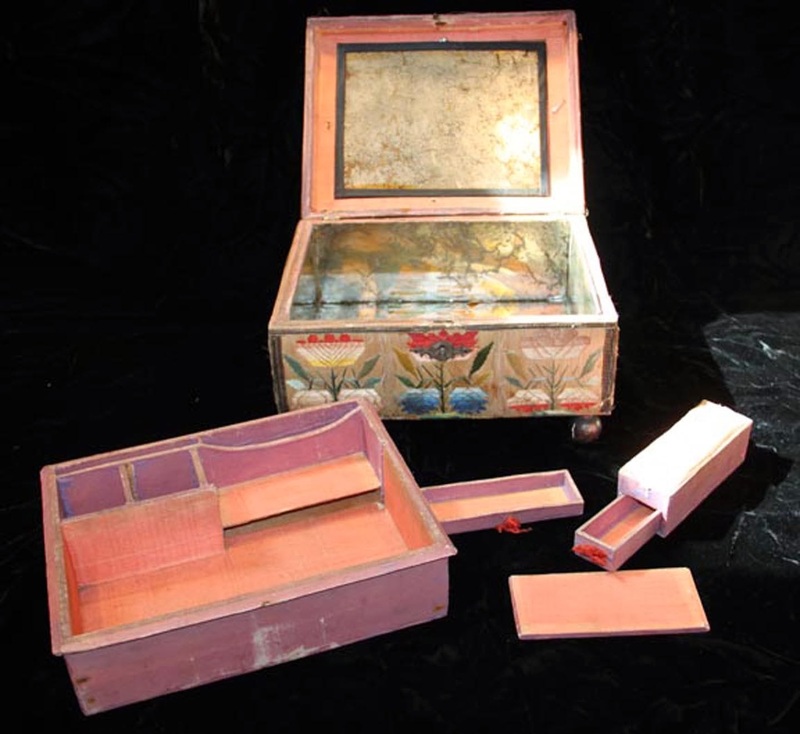 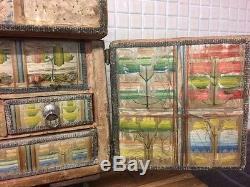 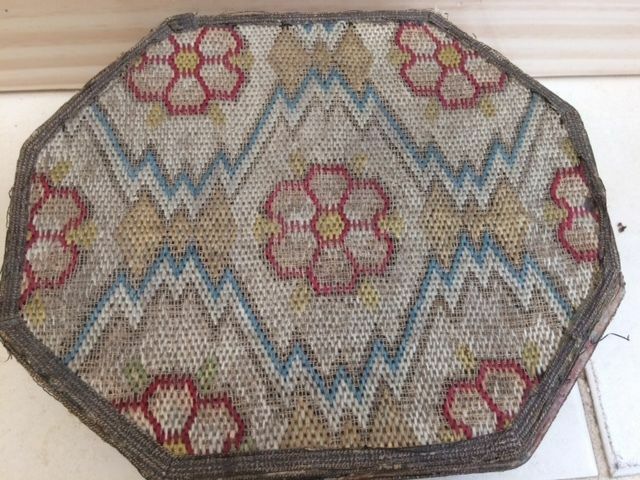 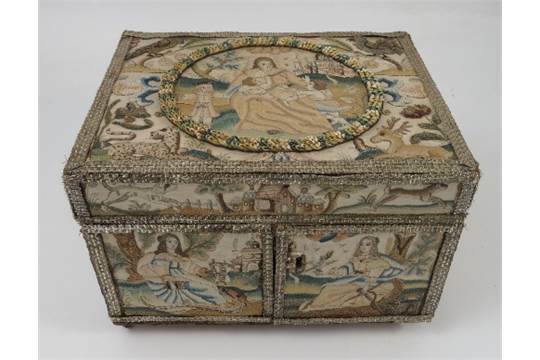 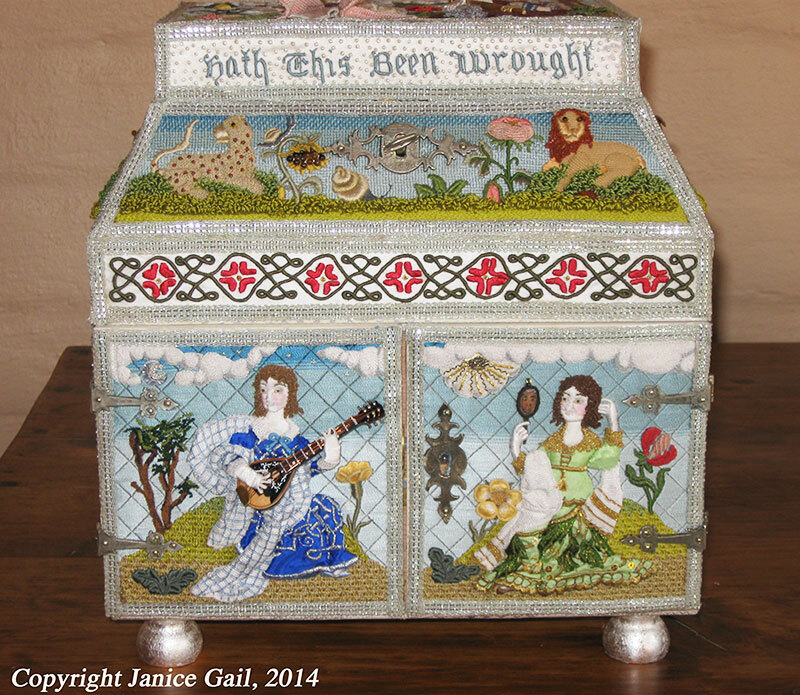 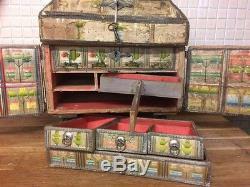 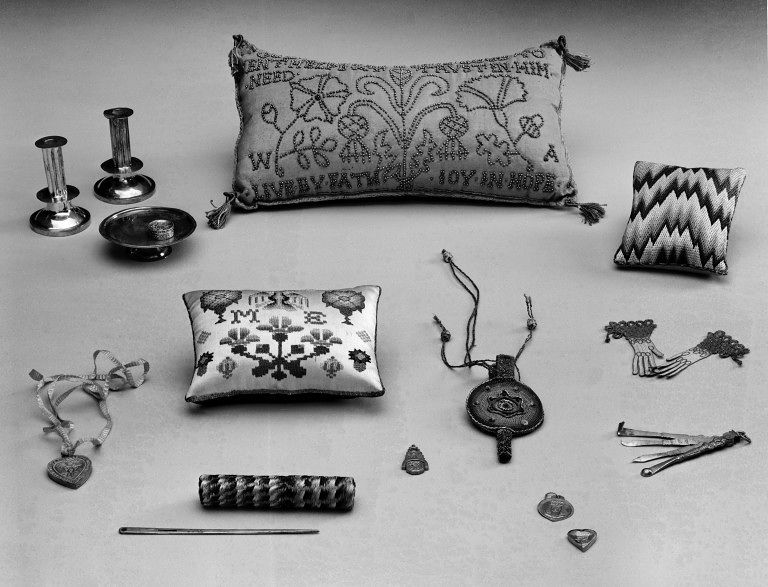 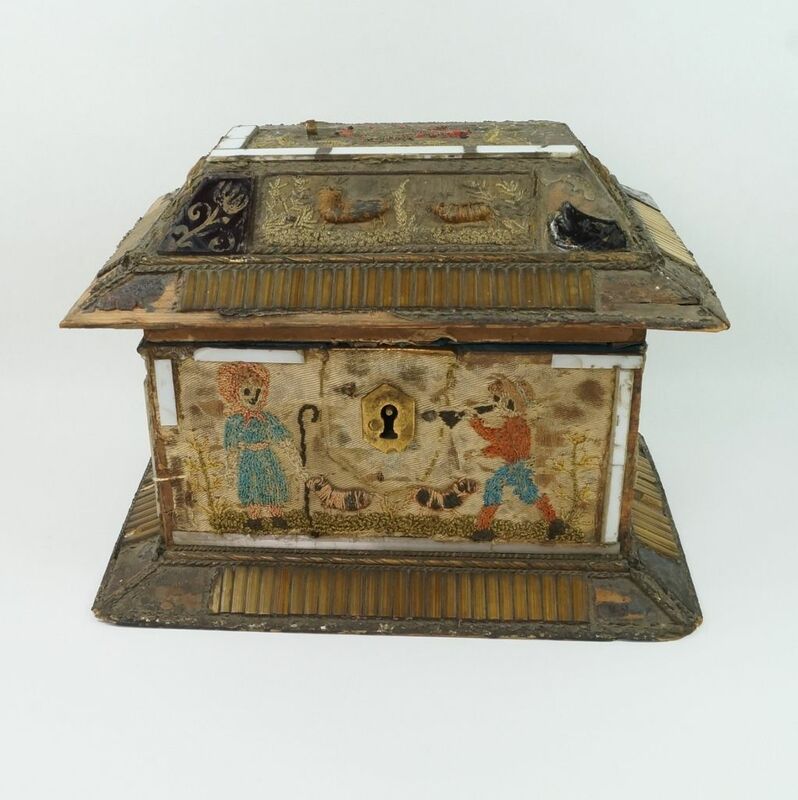 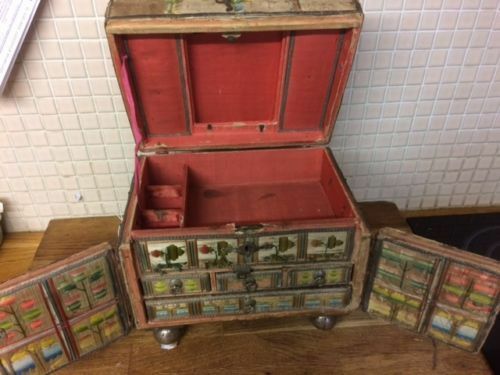 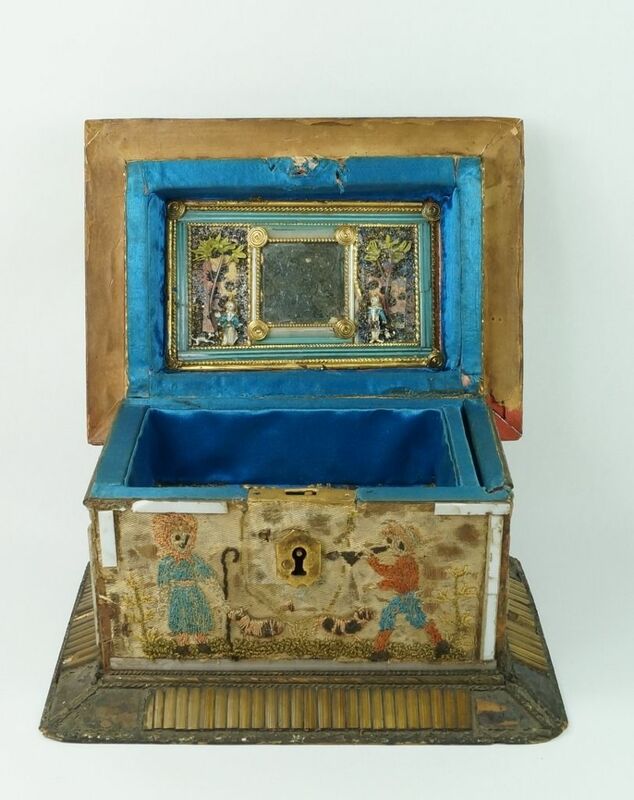 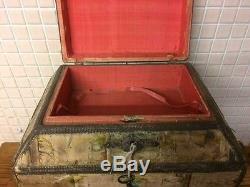 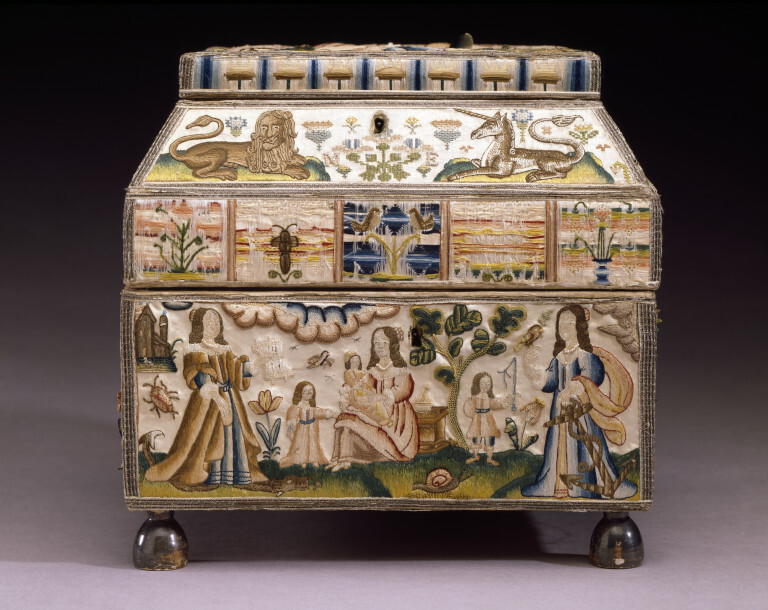 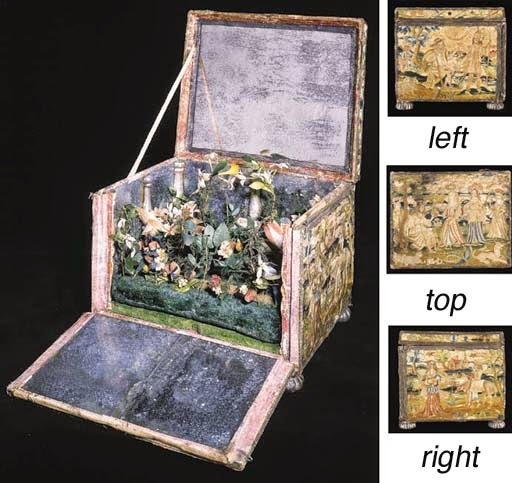 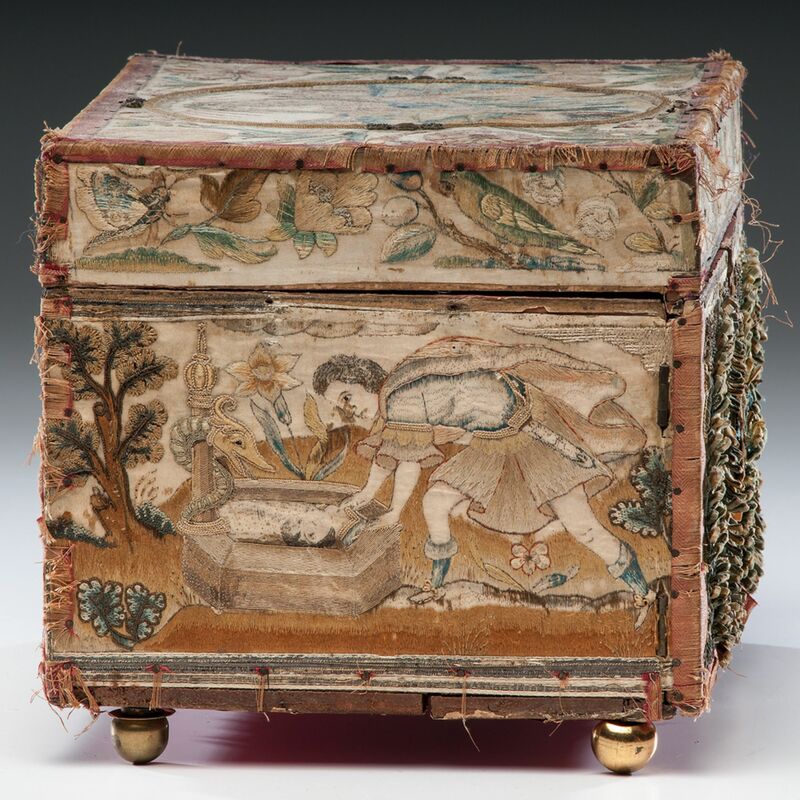 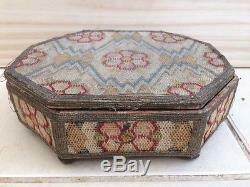 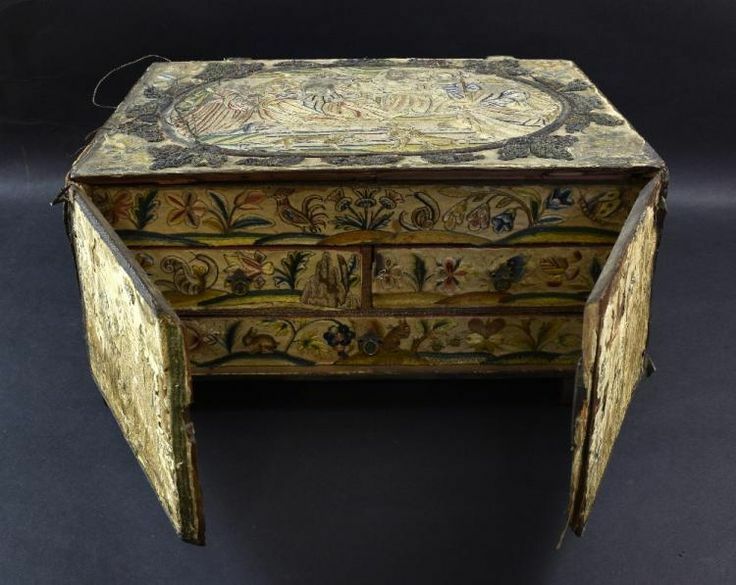 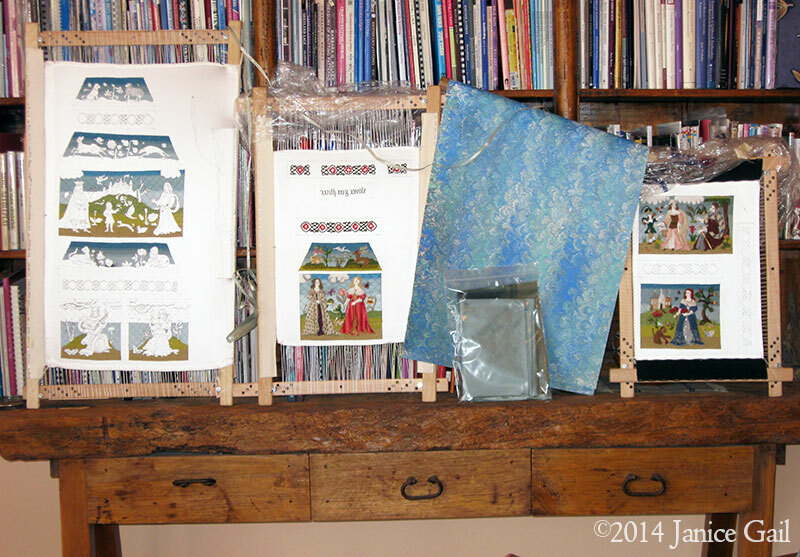 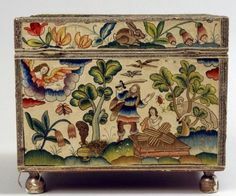 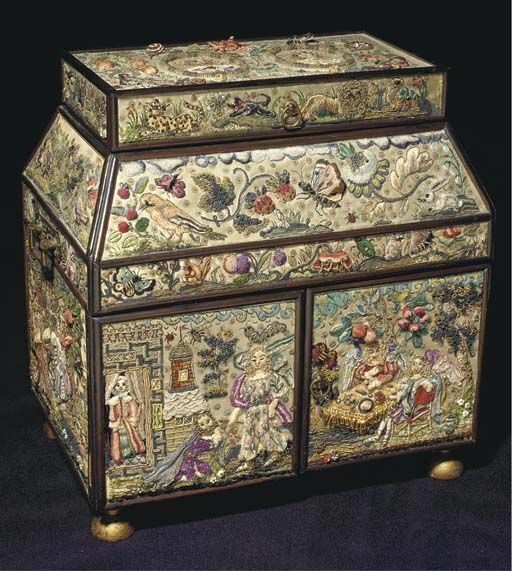 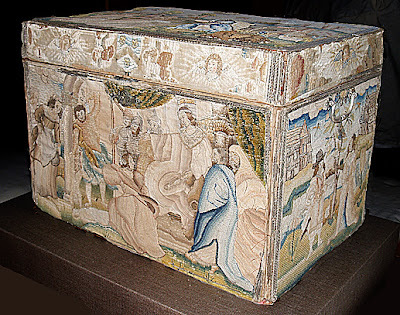 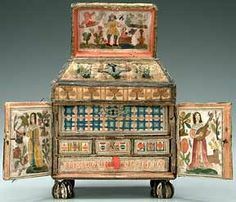 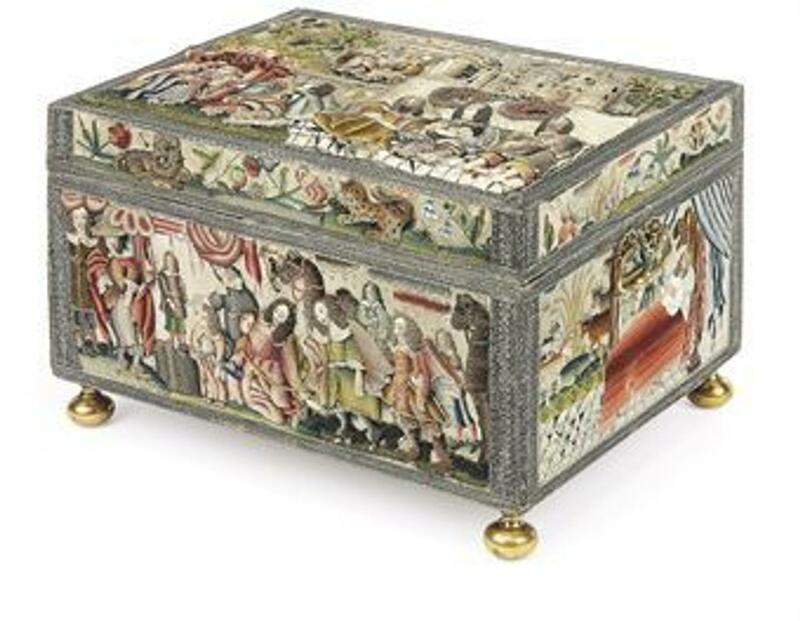 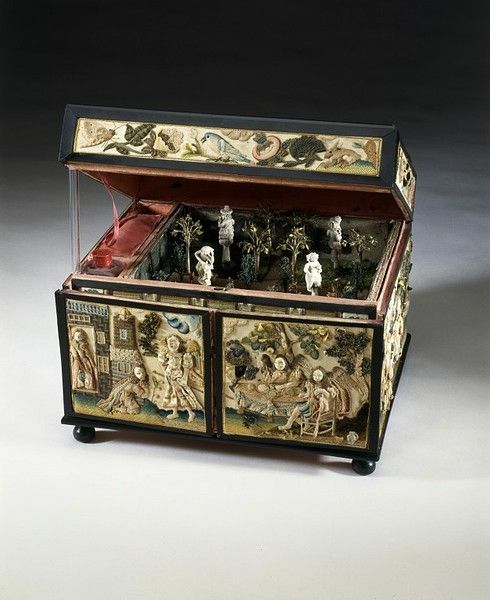 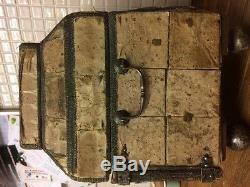 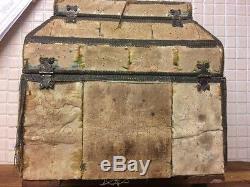 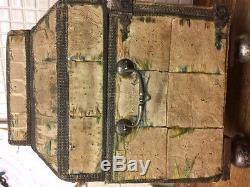 17th century embroidered cabinet, one of 32 caskets examined in detail in over 1000 photographs in the course. 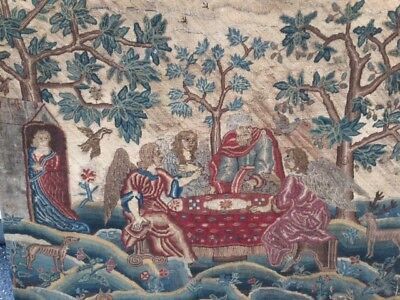 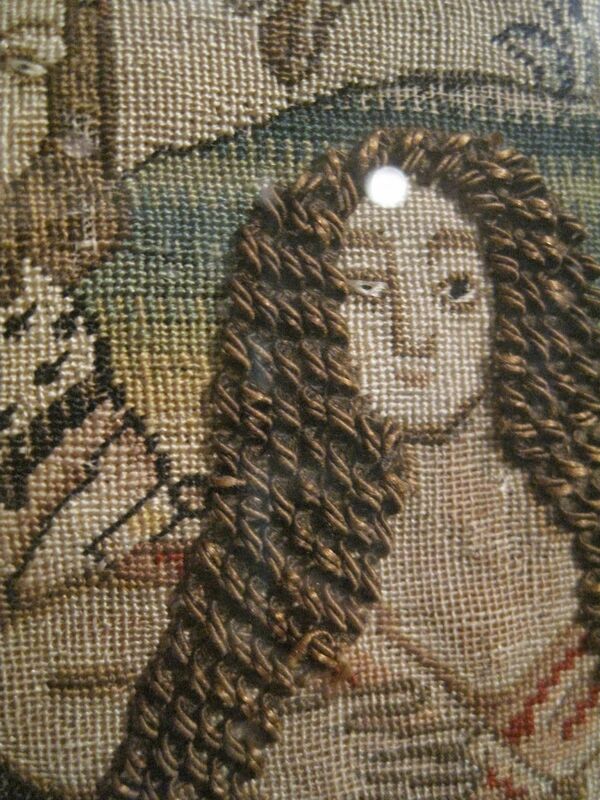 Margaret Dier Embroidery: Burrell Collection and other stumpworks . 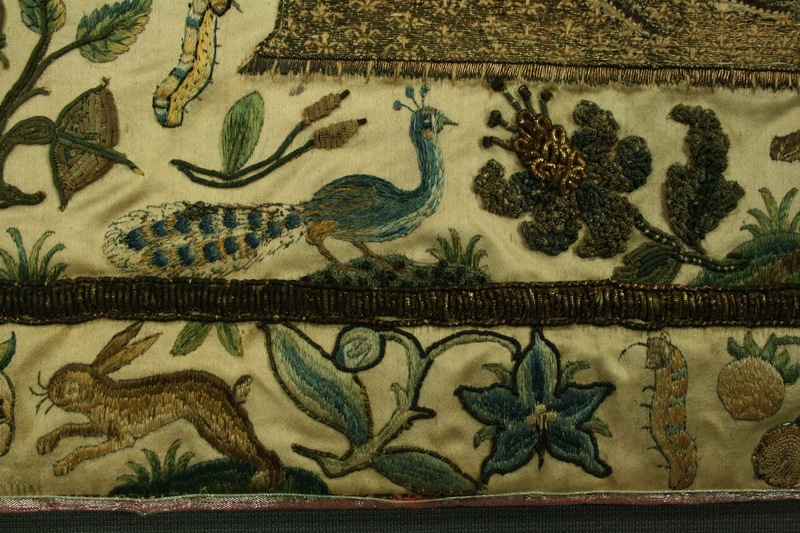 Note to self: Hooked rug inspiration. 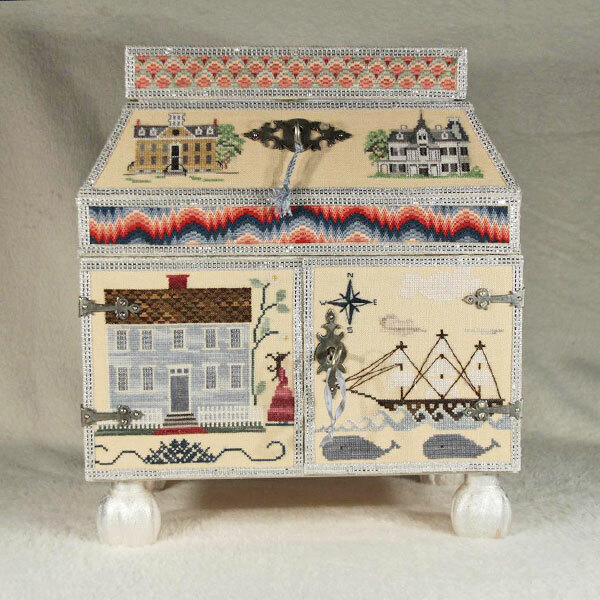 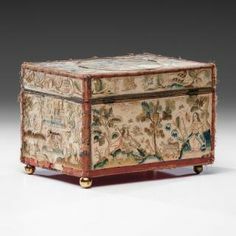 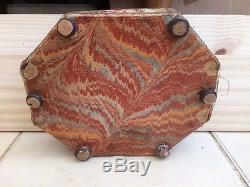 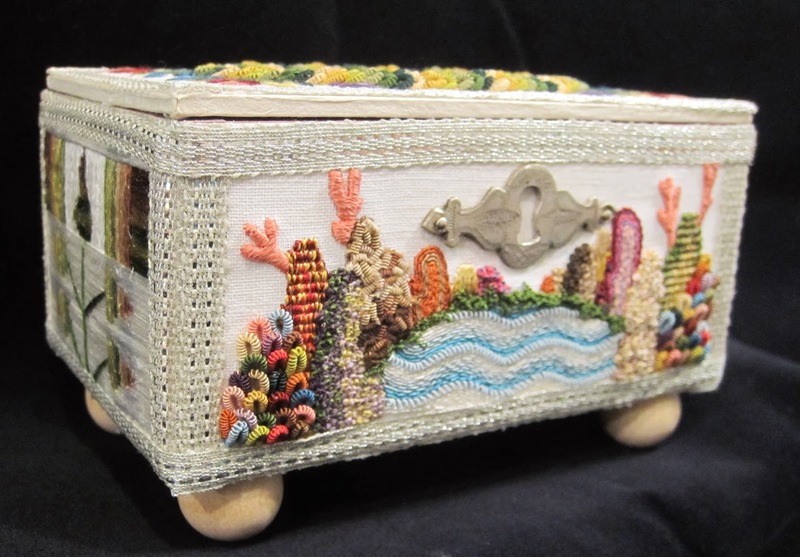 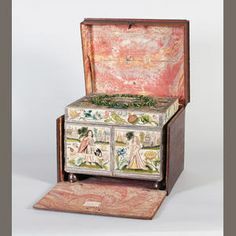 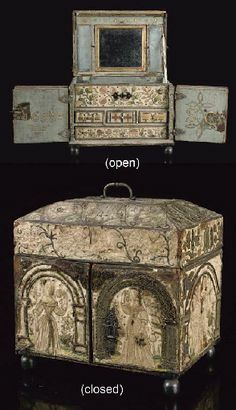 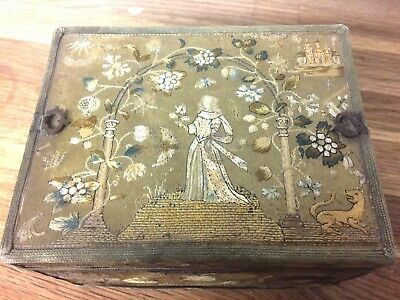 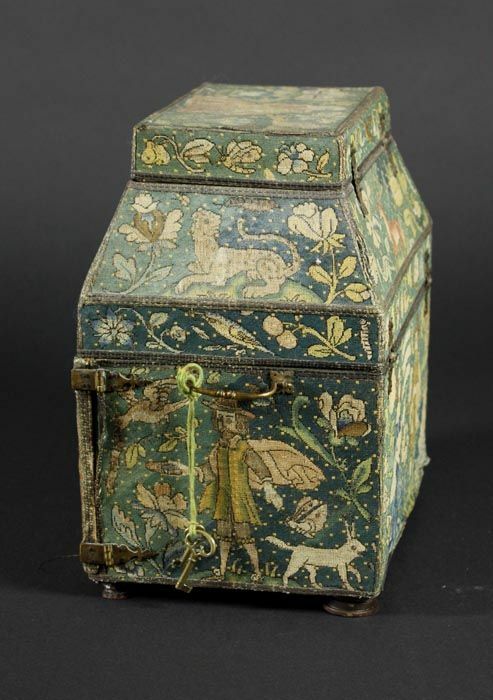 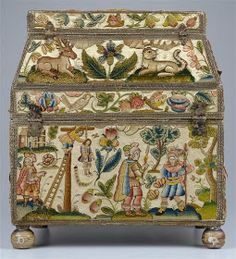 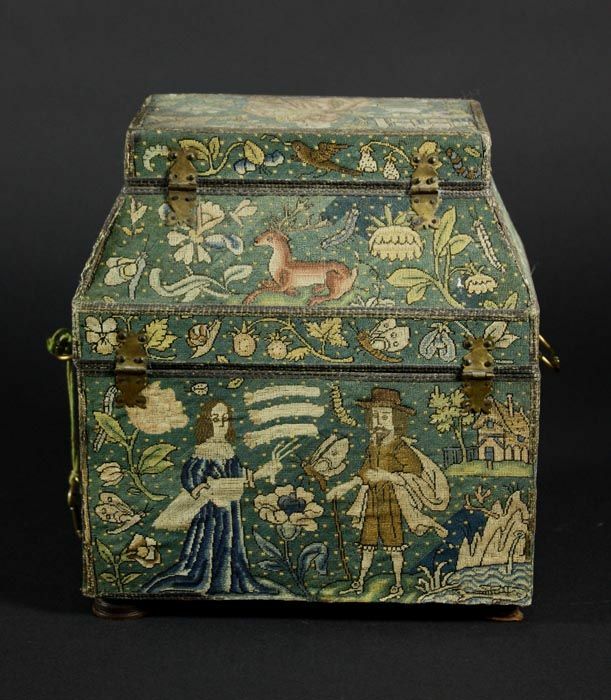 (Embroidered Casket, 1650 - back side view. 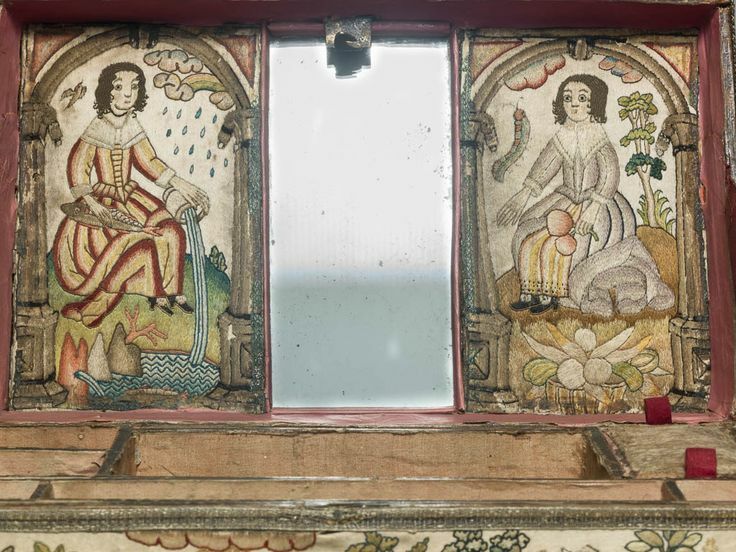 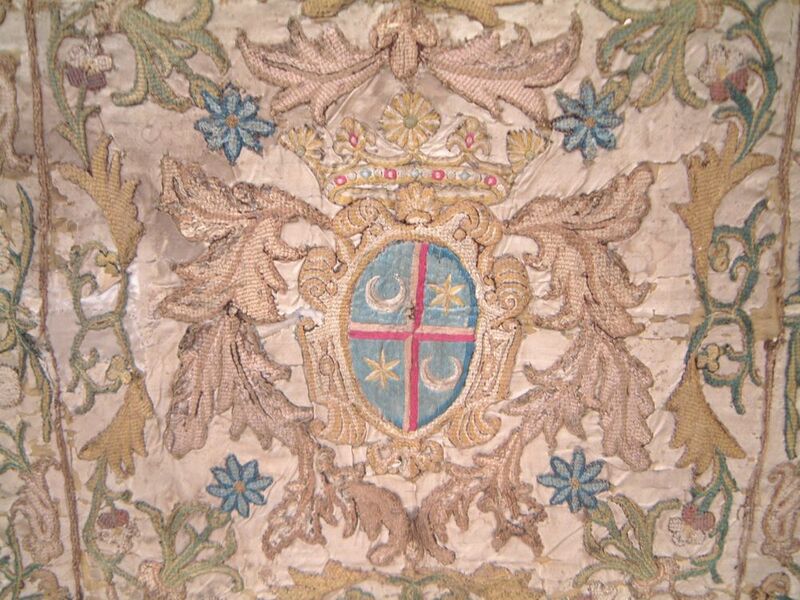 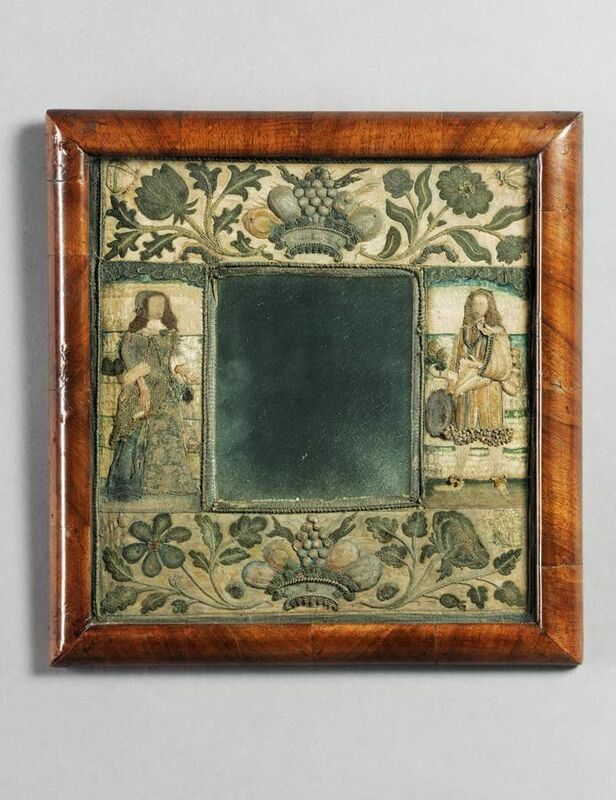 A RARE AND IMPORTANT RAISEDWORK AND NEEDLEWORK MIRROR English, third quarter of the 17th c.